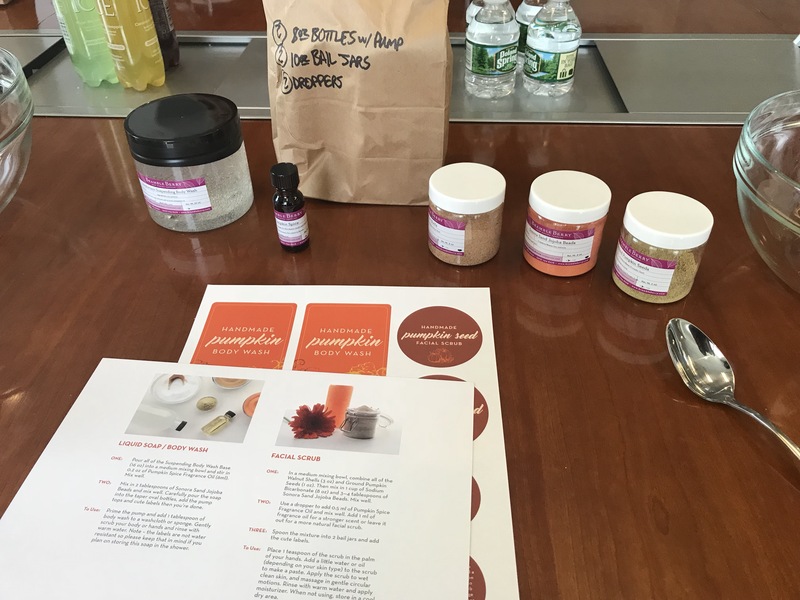 Yesterday, I was lucky enough to do some DIY beauty with the CEO and Founder of Bramble Berry Handcraft Provisions, Anne-Marie Faiola, at the offices of her publicist 5WPR. 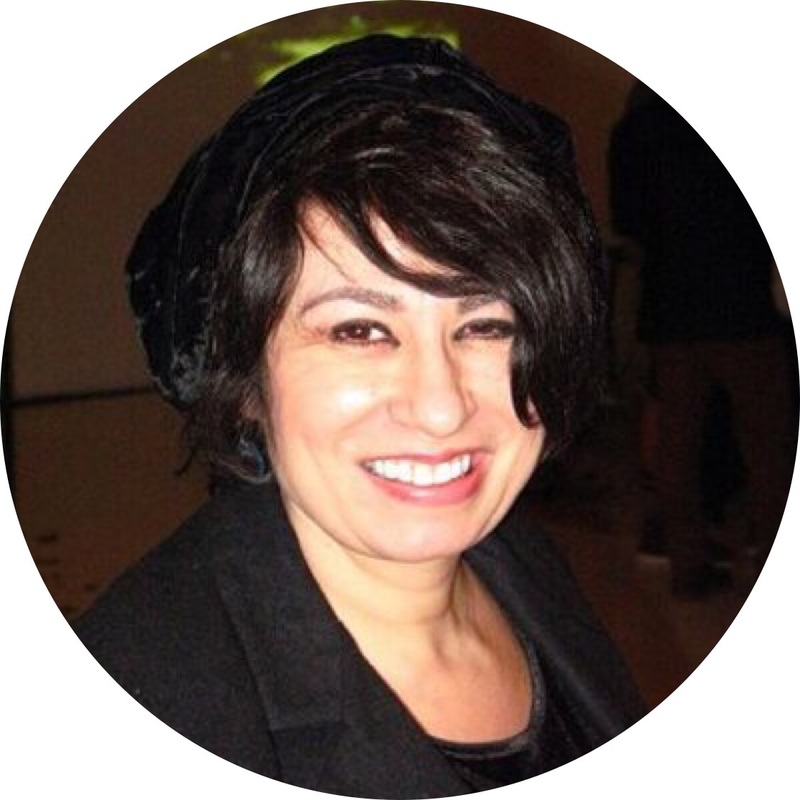 Anne-Marie is a professional crafter, author of Live Your Best Day Ever (published by Forbes) and lives in Bellingham, WA with her family. I am amazed at all the great DIY kits that she develops and sells on www.brambleberry.com. 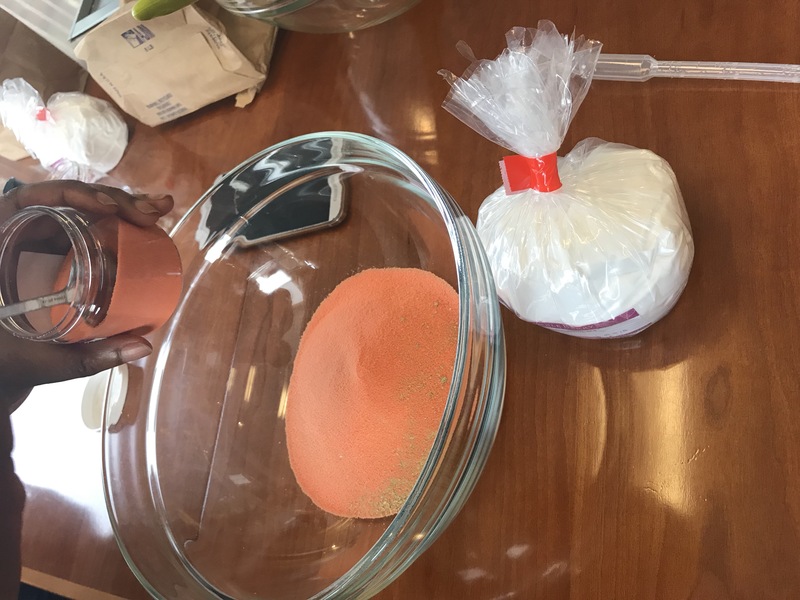 Along with a few other beauty bloggers, I made Anne-Marie’s popular Pumpkin Spice Facial Scrub as well as the Pumpkin Spice Hand Soap/Shower Gel. 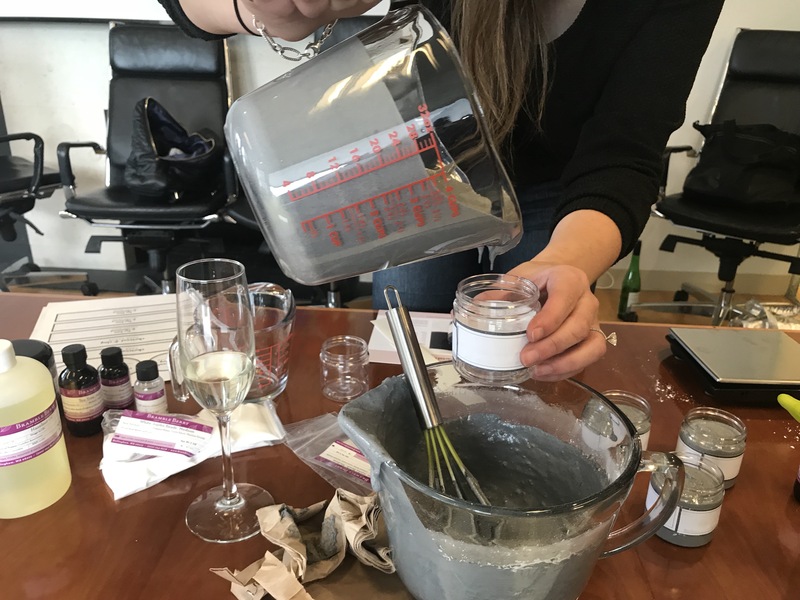 Each Brambleberry kit is very complete; for the most part there are four to five ingredients for each homemade beauty item and they are incredibly easy to mix up and pour into the bottles or jars. 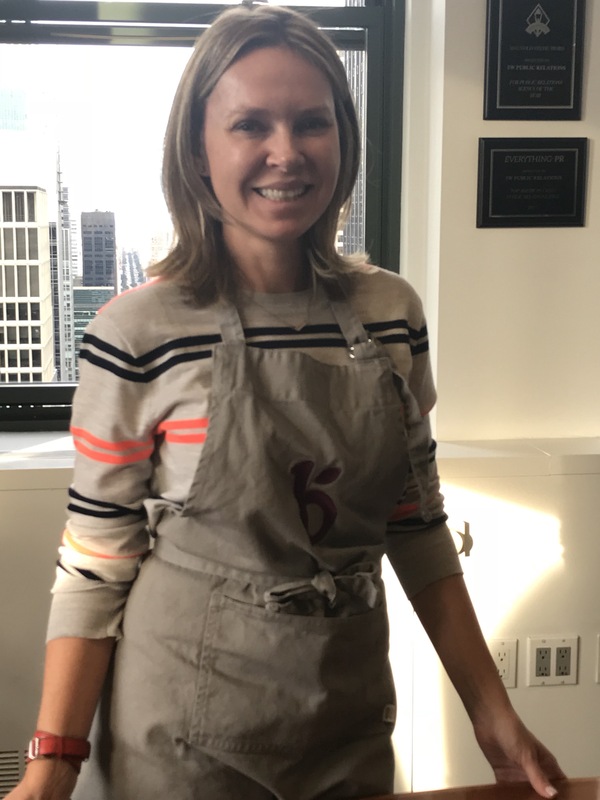 Most of the ingredients are premeasured and assembly is actually easy enough that most products can be made at a children’s or teen’s party. Brambleberry products are all-natural so there is no fear of toxicity, either. Each kit makes two to six full size items and you get all the necessary jars or bottles and cool labels that are fun to put on. 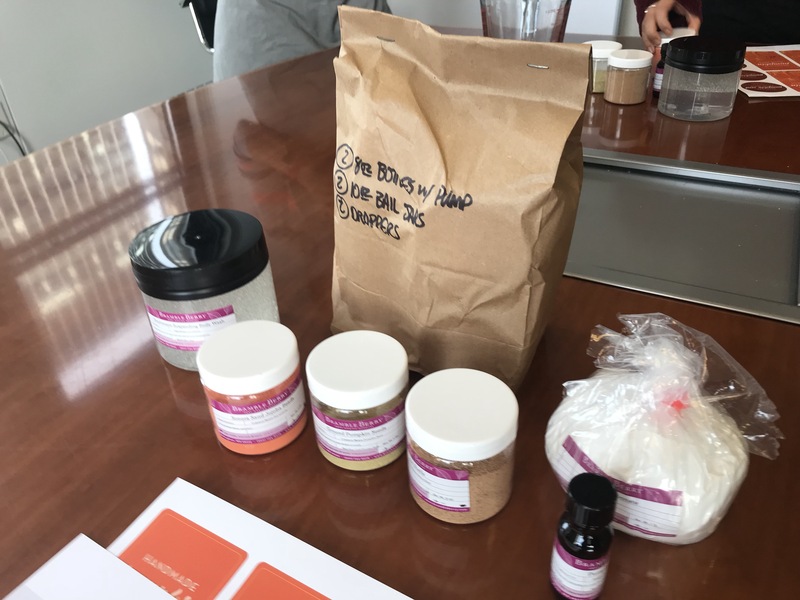 Let me backtrack—before making the Pumpkin Spice Facial Scrub And Hand Soap/Shower Gel, my colleagues and I actually made the Tea Tree And Charcoal Facial Soap which has a superclean scent that I just cannot get enough of. I am now washing my face three times a day with it. You can really feel the ingredients tingling on your skin and it is a great “waker upper” in the morning. I can’t wait to get my hands on more Brambleberry DIY kits. The variety is endless and there are a lot of great cosmetic items that you can whip up like nail polish and lip gloss. 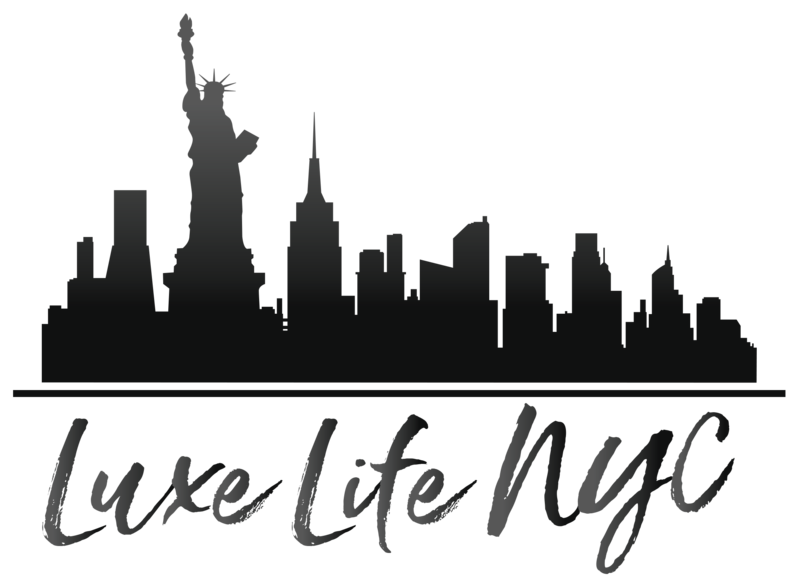 Every girl dreams of creating custom nail polish and lip gloss shades, and I cannot think of a more fun activity for a teen beauty, woman’s birthday or bachelorette party. Brambleberry is my new obsession! I have been really enjoying Anne-Marie’s book as well as it is as uplifting as her beauty products! It is a simple “guide to life” that puts a smile on your face even if you just randomly pick a page and read a small passage! Most Brambleberry kits run about $50 to $75 but a lot of product is created from each one. Use the code WELCOME for ten per cent off your first order. There are kits for every level from beginner to advanced, BTW. 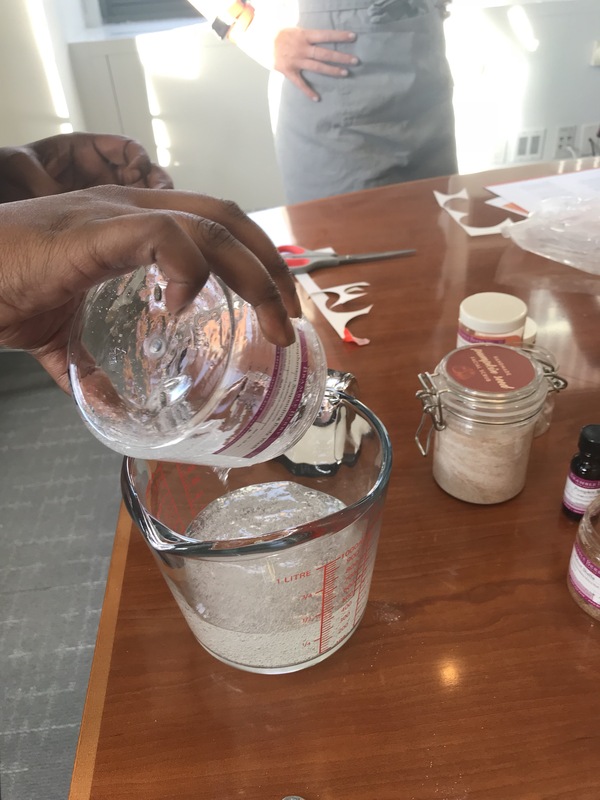 Most people start out with one of the Soap Making Kits For Beginners and then progress from there although I can tell you from personal experience that the facial scrub, facial cleanser and hand soap/shower gel kits that I used were beyond easy! The ShopRite Grand Tasting: Gluttony For A Good Cause! MCM Preview For Spring/Summer ‘18: They’re Rockin’ Some Bright Colors But Have Something For Everyone!